We love to go out for a great steak dinner and here in Orlando we have a nice selection to choose from. The following list includes some that we have visited or heard a great deal about. They are currently listed in alphabetic order. Professional service and excellent food - two main reasons to include Flemings Prime Steakhouse and Wine Bar on the list of top Orlando steakhouses. Along with upscale dining, you will find a comfortable setting for business meetings, special occasions or just a night out for a great steak dinner. Two convenient ​Orlando area locations, Winter Park and Sand Lake Road. One of Orlando's original favorite Steakhouses, Linda's La Cantina, formerly known as Al & Linda's La Cantina, located on East Colonial Drive in Orlando has been serving Central Florida since 1947. Don't be fooled by the red and white checkered tablecloths, the dining may be casual but the steaks, seafood, and Italian dishes are expertly prepared and reasonably priced. We would recommend this as a great family restaurant. Morton's, famous for its animated signature tableside menu presentation of steaks, whole (and live) Maine lobsters, along with fresh vegetables, are presented on a cart rolled directly to your table. A knowledgeable server display and describes each menu item in appetizing and entertaining detail. Located on International Drive, next to Pointe Orlando, in the heart of the tourist district, this high-end steakhouse may not become a regular stop for locals unwilling to brave the I-Drive traffic. Within a short distance to the Convention Center and surrounded by upscale hotels, my guess is that this restaurant can hold its own with mainly tourist traffic. With three locations in Central Florida to choose from, Ruth's Chris has now become an easy dining favorite from just about anywhere in the Orlando area. Voted by many as the area's top steakhouse, Ruth's Chris does have wonderful steaks and a great selection of sides and entrees. Having only visited the Winter Park Village and Sand Lake Road locations, we have found that there is definitely a different ambiance at each location - we have heard from Ruth's Chris devotees that the Lake Mary restaurant is the most upscale but a little more pricey than the others. Family owned and run since 1993, Del Frisco's on Lee Road in Winter Park offers classic steakhouse ambiance with old-school elegance. 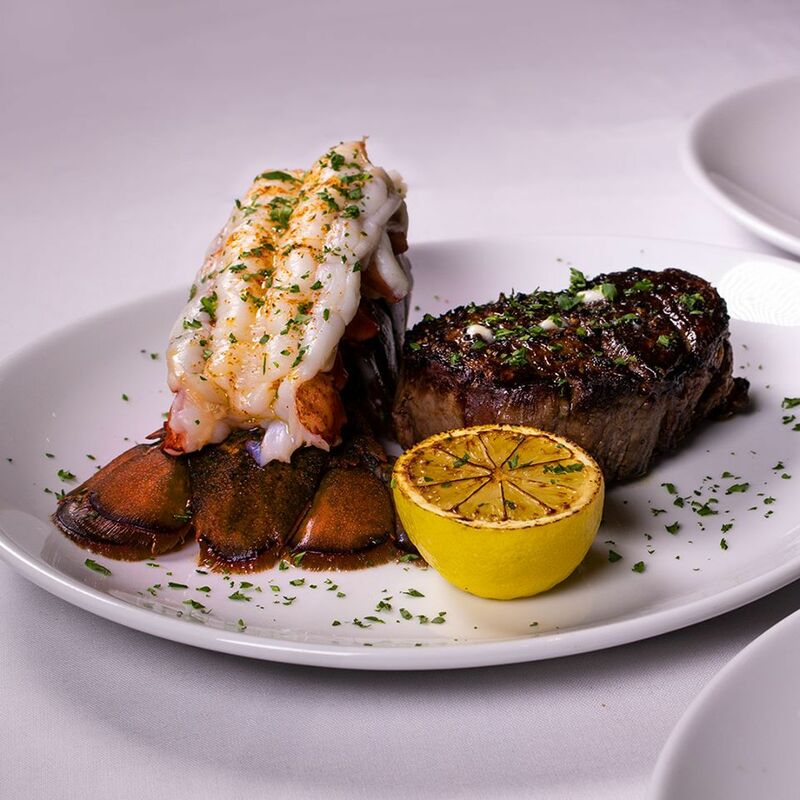 Known far and wide for its prime cuts of beef, Australian Lobster Tails, and exquisite wine selection, Del Frisco's has set the standard for top steak restaurants in the Orlando area. This is definitely a great place to impress a date or to go for a special occasion. Southern Brazilian steakhouse that is conveniently located on International Drive serving in the gaucho tradition of churrasco. Open for lunch and dinner, the dining experience offers an all you can eat gourmet salad and sides bar and an extensive selection of grilled meats carved tableside. Often listed as one of Orlando's top steakhouses, Charley's Steak House has three Orlando locations, S. Orange Blossom Trail, International Drive, and Celebration. Owned by the same chain that brings us Vito's Chop House, Charley's is another restaurant that we have not visited, but have read wonderful reviews about. Old World elegance awaits you at another of International Drive's upscale steakhouses. Vito's one of the many popular chain restaurants created by Talk of the Town is consistently ranked in the Top 10 steakhouse choices. We have never dined at Vito's but expert sources tell the food is excellent. You may not think of going to a Disney hotel for a great steak dinner, but the Yachtsman Steakhouse located inside of Disney's Yacht Club offers great food at reasonable prices. Expert servers are on hand to recommend wine and sides to accompany your entree. If you are strolling along Disney's Boardwalk some evening, we recommend stopping in for dinner, or at least a drink at the beautiful nautical-themed bar.